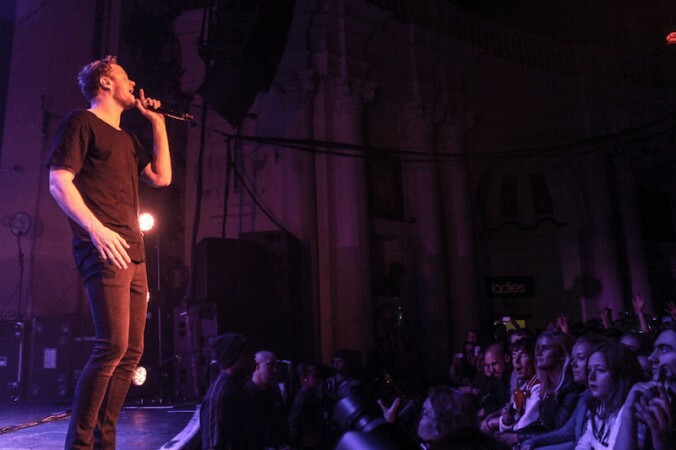 It was just 12 months ago when Imagine Dragon landed in London for the first time to play their debut concert on the tiny stage of the Dingwalls. 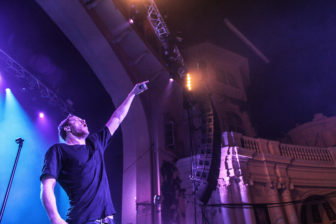 A year later they are headlining three sold-out concerts in a row at the legendary Brixton Academy. 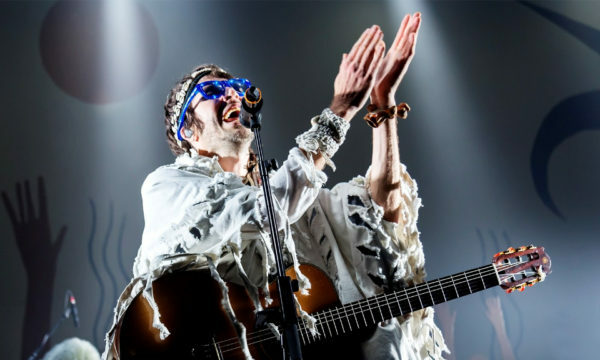 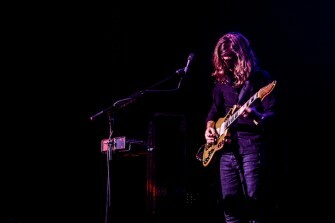 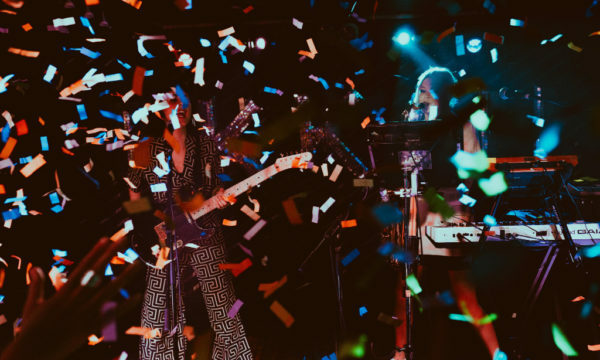 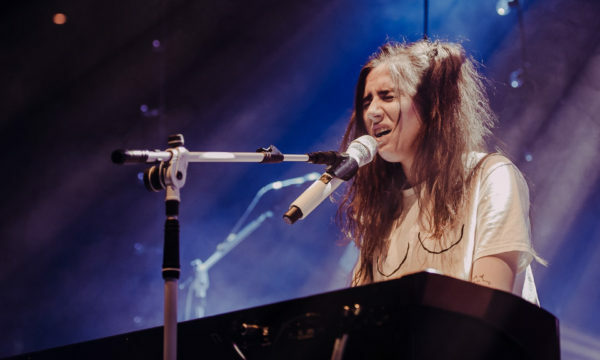 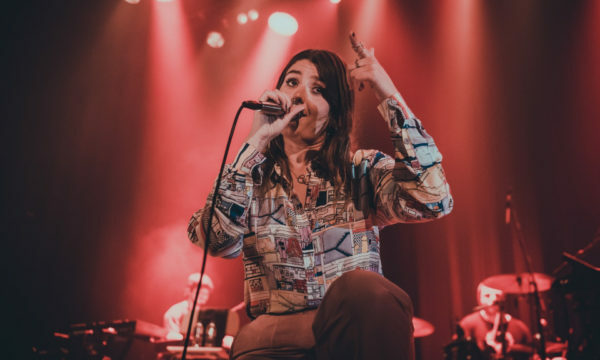 The setlist might not have changed much but they have grown from being a promising American indie-rock band to a solid international act. 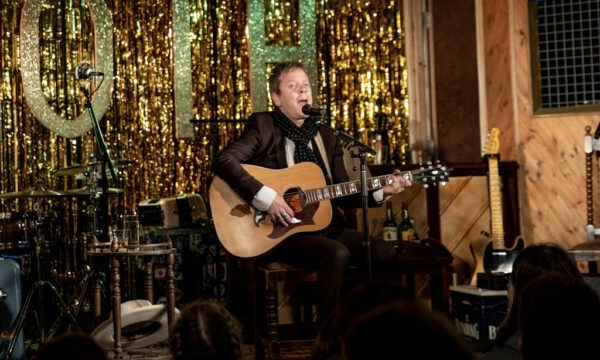 What makes this show different? 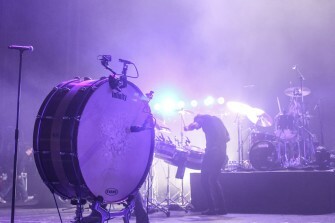 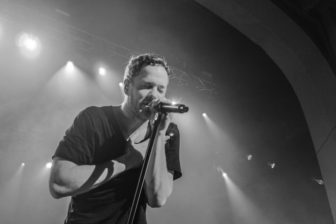 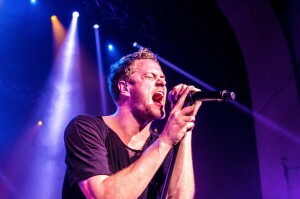 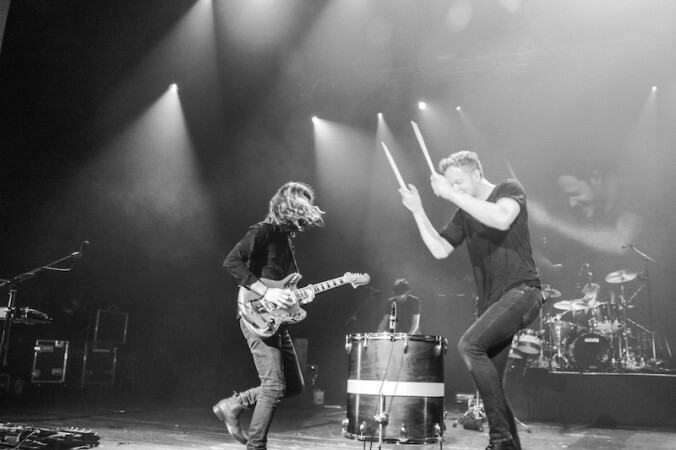 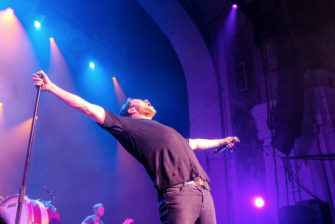 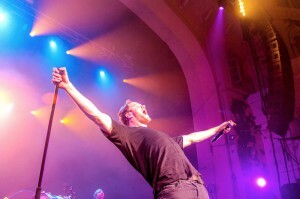 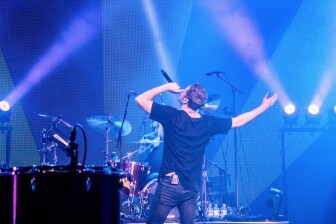 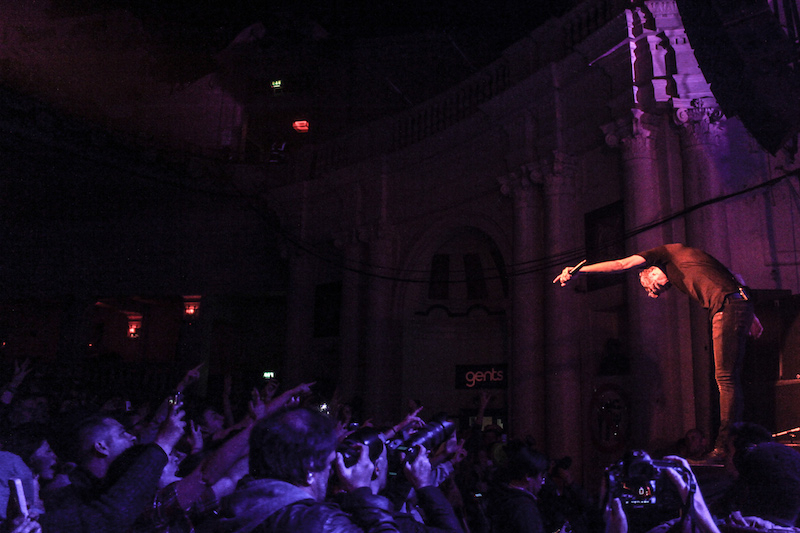 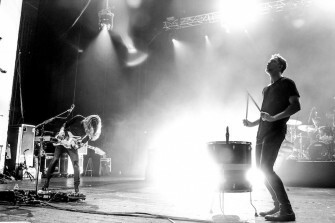 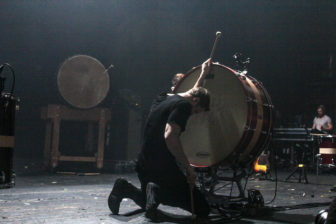 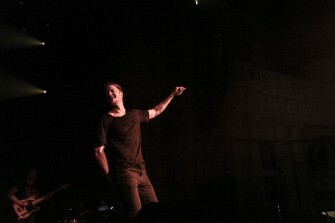 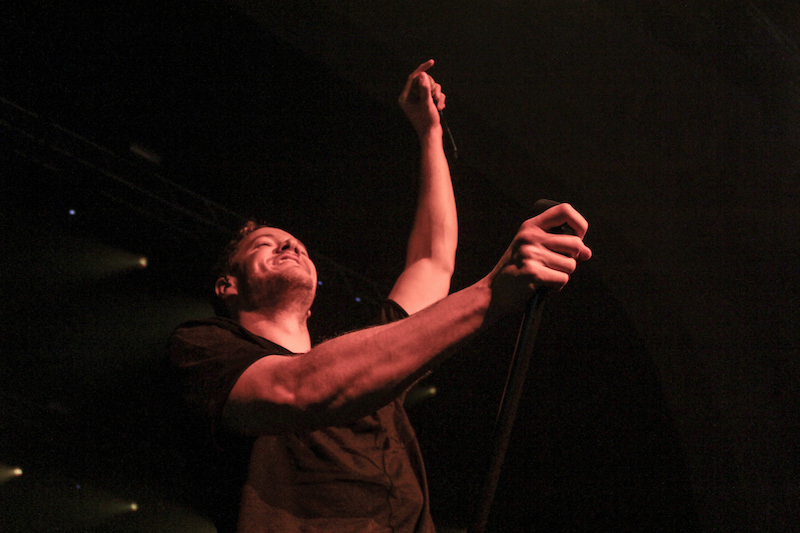 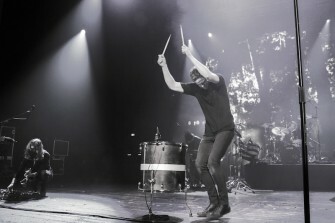 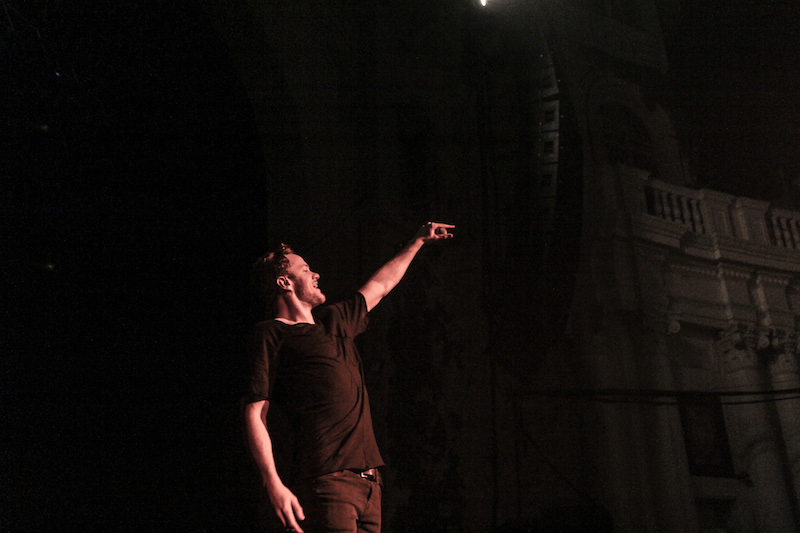 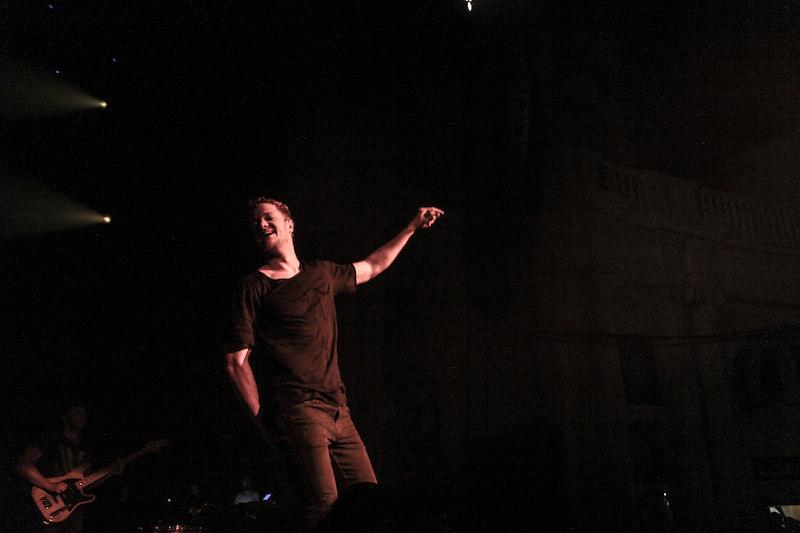 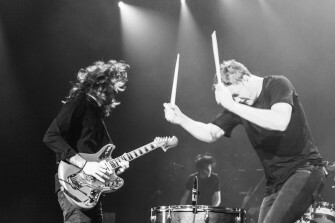 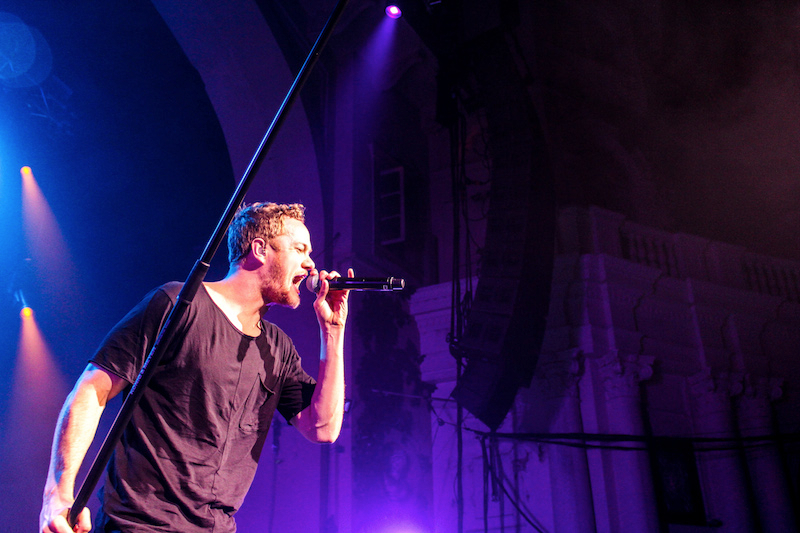 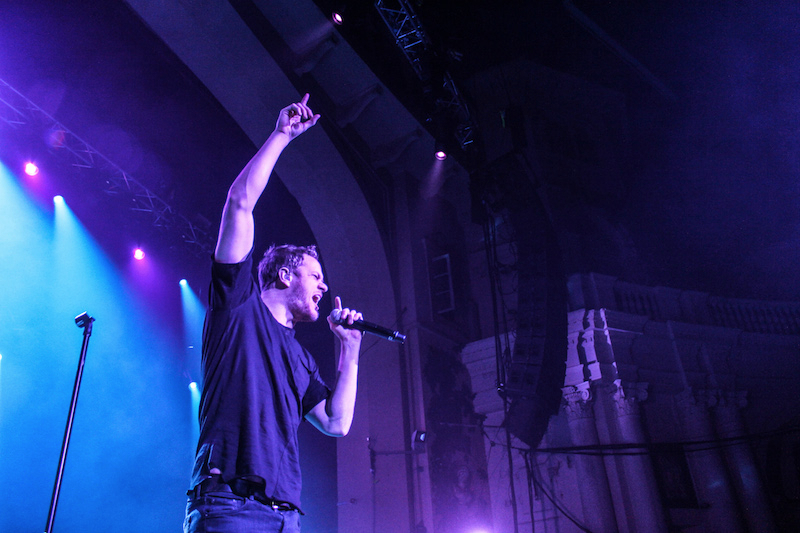 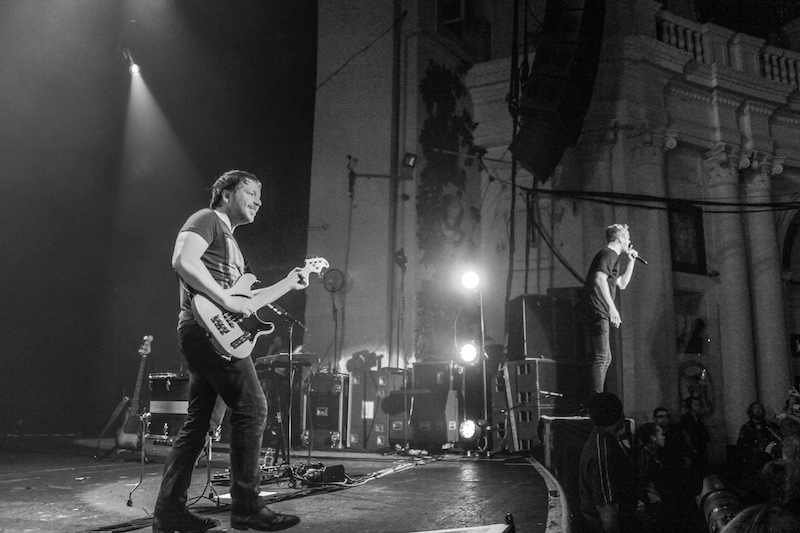 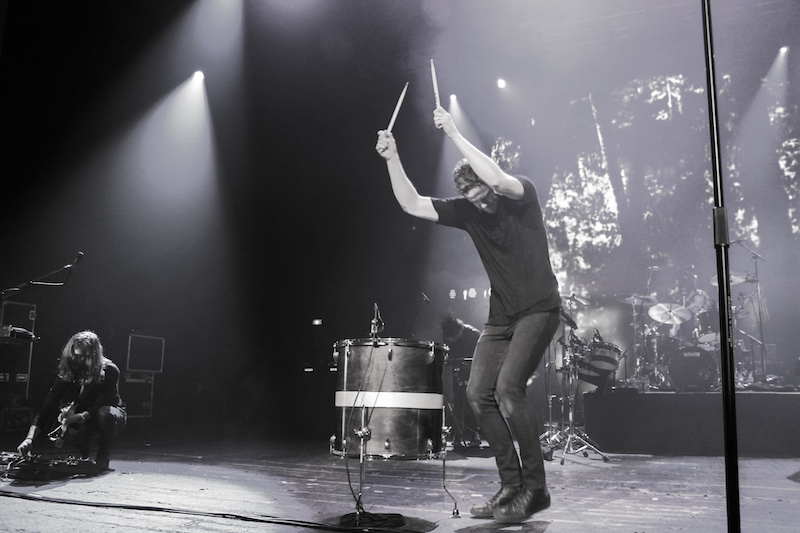 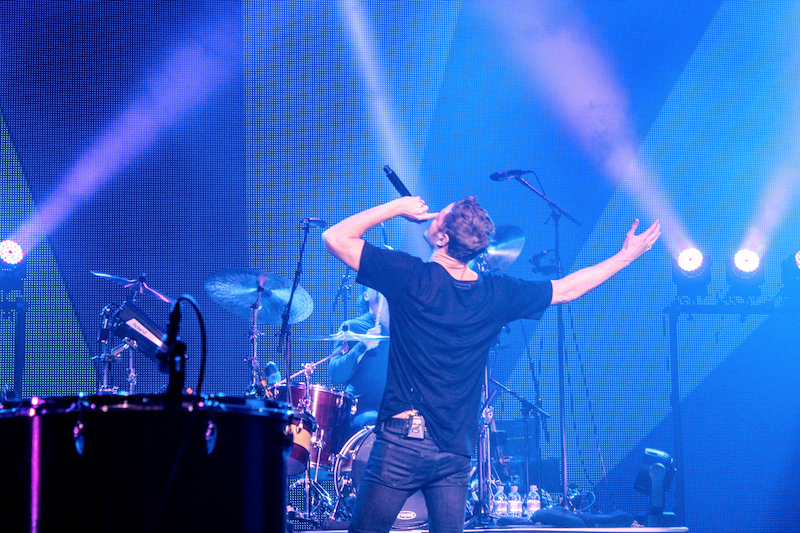 A conscious stage presence of frontman Dan Reynolds, a bigger sound with heavier guitars and drums, and a manifest awareness of their potential as a band. 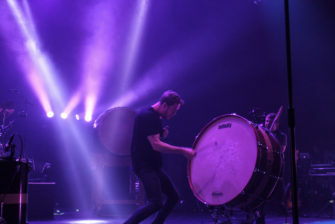 After a spectacular instrumental intro, the set kicks off with Round and Round, one of the last songs to join their debut album Night Visions in its deluxe version release. 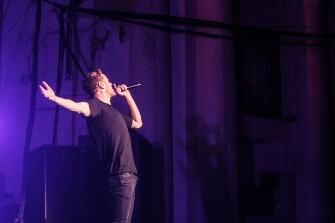 Running and dancing from one side to the other, Reynolds interact with his public which is not anymore exclusively made of teenage fans but also many in their 20s, 30s and even 40s. 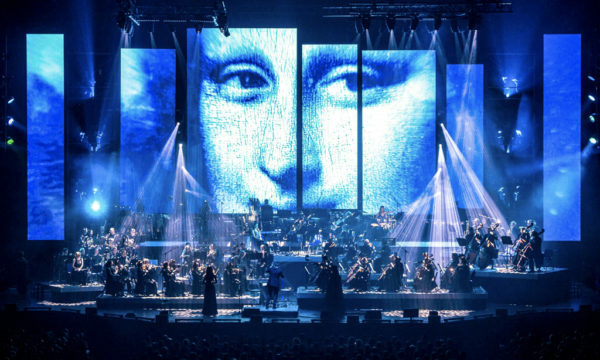 He tells “we were told this is one of the best venues to play in the world” and how he couldn’t believe the pictures in the dressing room showing the unbelievable people that played here. 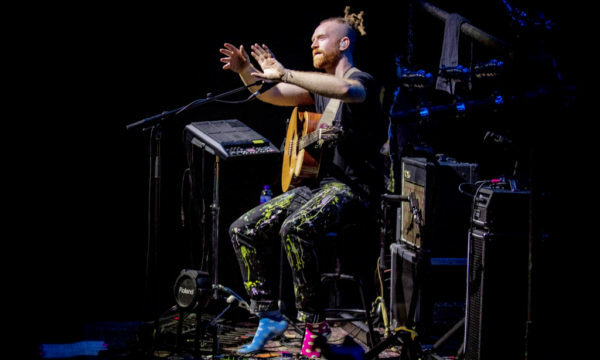 The band also plays 30 Lives, dedicated to their fan Tyler Robinson, who passed away due to a rare form of cancer when he was only 17: a very touching moment, the song is arranged with a graceful violin as a moving video is showed. 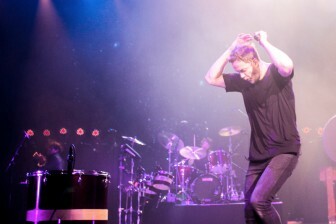 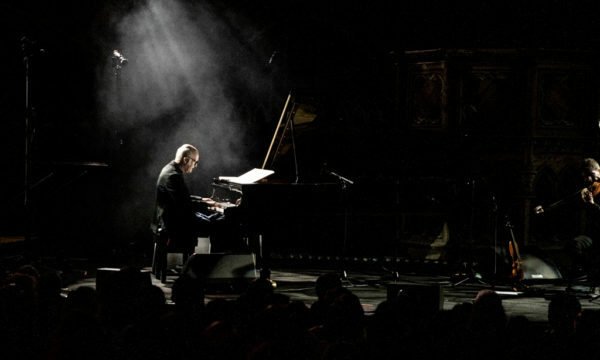 Radioactive – that sold an impressive six million singles worldwide – closes the set before the powerful and dramatic encore with Nothing Left to Say. 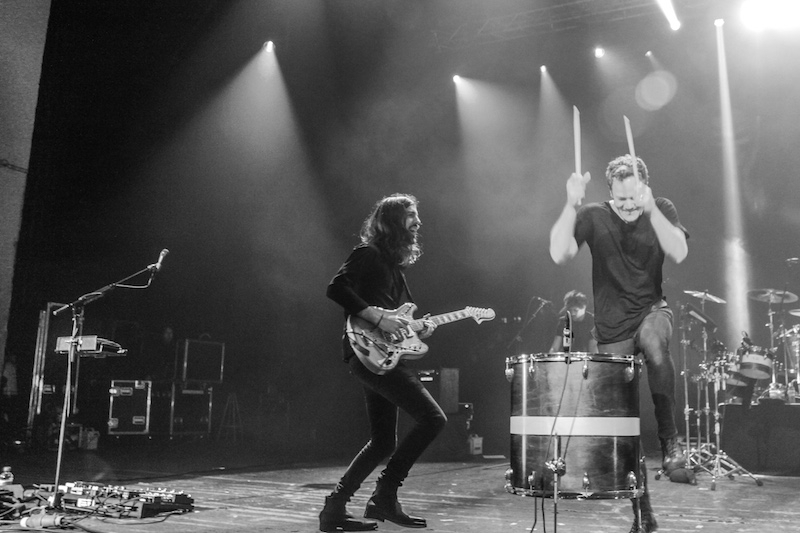 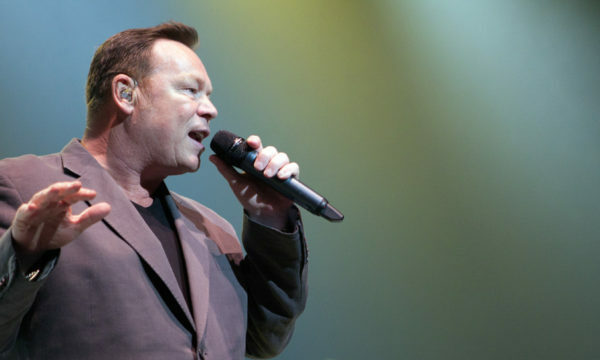 They promise to be back next year, with a new album – we surely can’t wait for it. 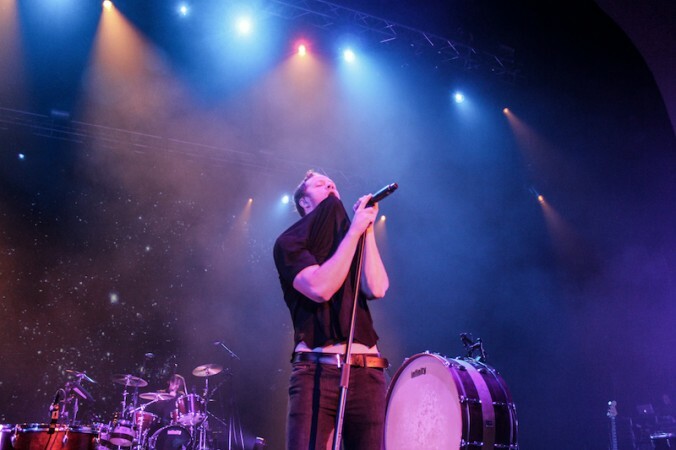 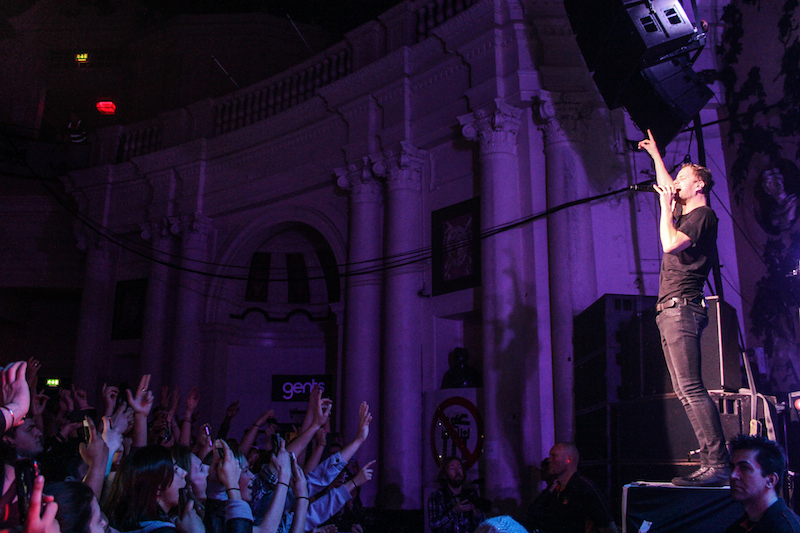 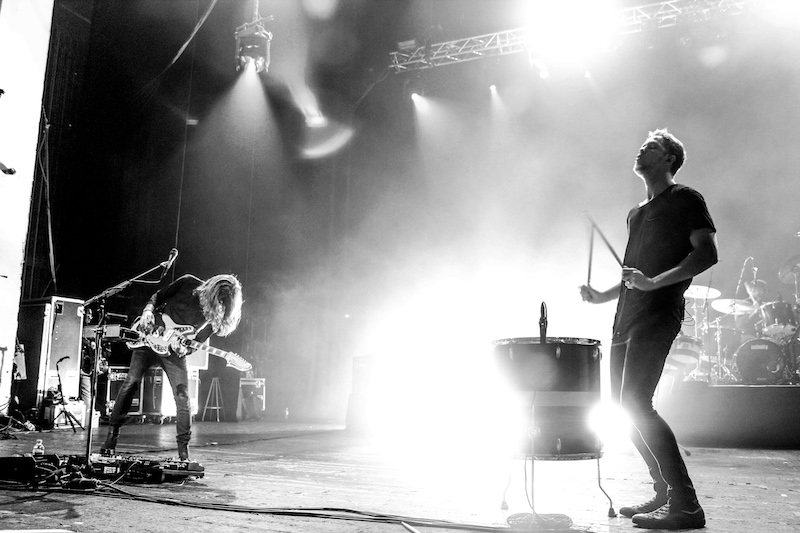 For further information about Imagine Dragons and future events visit here.